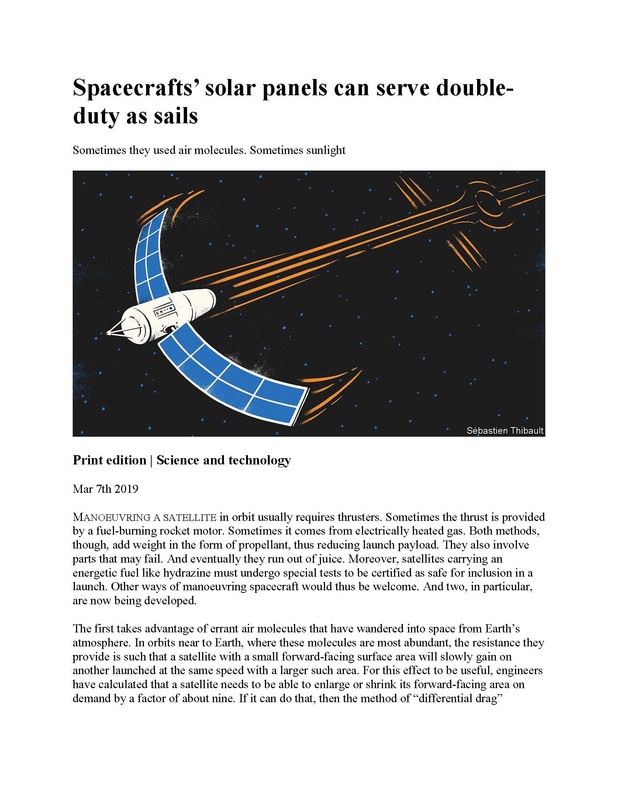 The Jerusalem Report featured the article “Satellites that Tango” on June 15, 2015 about the SAMSON satellite mission. The article featured interviews with Prof. Pini Gurfil and Prof. Chaim Eshed. The Space Autonomous Mission for Swarming and Geolocation with Nano-satellites (SAMSON), is a Technion led satellite mission with support by the Israeli space industries. The project consists of launching a satellite cluster, the first ever in space history. The satellites will function and communicate autonomously, manage a coordinated cluster without any instructions from earth, and will be operated by an operating system that is developed at Rafael and the Technion especially for the project.